Hasnah is only twelve and she looks intelligent to me. I asked her do you want to be intelligent. Yes she said. Are you smart? Again she said Yes. Then tell me what is intelligence, explain as easy as you can! She stared at me without giving a proper answer. 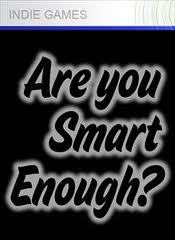 Since you think you are smart... What is smart to you? She was laughing cause she found it difficult to explain or to describe these two simple words. Everyone wants to be intelligent and smart, but not many could define them. They have to go one big round to explain, until they themselves got confused with these two interesting words. Helping my good friend's daughter, I explained... Intelligence is the ability to learn or to seek for knowledge & smartness is the ability to apply what you have learned. Just to make sure she understood the above I laid to her this example. Besides attending the normal government school, Hasnah is also learning the Quran, from a Guru who taught her the Islamic teaching for children. As intelligence she is, she could memorise the entire Holy Book, which most adult might find it difficult. Yes! She has the ability to learn, storing the religious knowledge to her young mind. This is intelligence. The Holy Book taught her to respect the elders, be obedient to the parents, pray five times a day, be kind, be honest, be willing to help the poor, be loving to your family, to work and study hard, and many many more good pointers. Now... Is she smart to apply what she has learned from the entire text and contents. I told Hasnah, if she doesn't practise what she was taught, then she is only intelligent and not smart. Those who are intelligence and smart, are usually successful people. Intelligence alone might not achieve much, but if you have two of these qualities, then life is definitely interesting and attainable. Looking at her eyes, I knew she understood my teaching. What about you who are reading my post now? I am confused! As you said, if one is intelligent and smart, oe learns and apply what is taught. What happens if she is taught the bad things and she applies what she learnt? By your definition, she is still intelligent and smart? Can you throw more light please. You flattered me with addressing me as Teacher. Thank you my dear. It's not good to teach children with bad things. If she is intelligent and not smart, perhaps she might not know how to apply bad teaching. However if she is smart, those bad character could turn her to be a bad girl then when she applies them. Smart alone is not mere goodness, smart can be evil too. Like.. a thief who is smart can steal from his friends without them knowing. Right? I think you are intelligent by the way you commented, but you have to be smart to apply what you have learned my dear. How to win your boss heart? Work and yet not working!!!! Malaysia's oldest man, dies aged 117. Can your Soul be stolen?